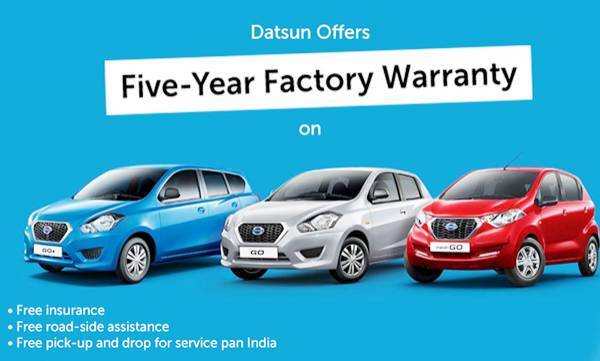 Datsun has introduced new offers for customers as part of its fifth-anniversary celebration in India. The new offers include a new extended warranty plan and a ‘Peace of Mind’ package with five standard services. 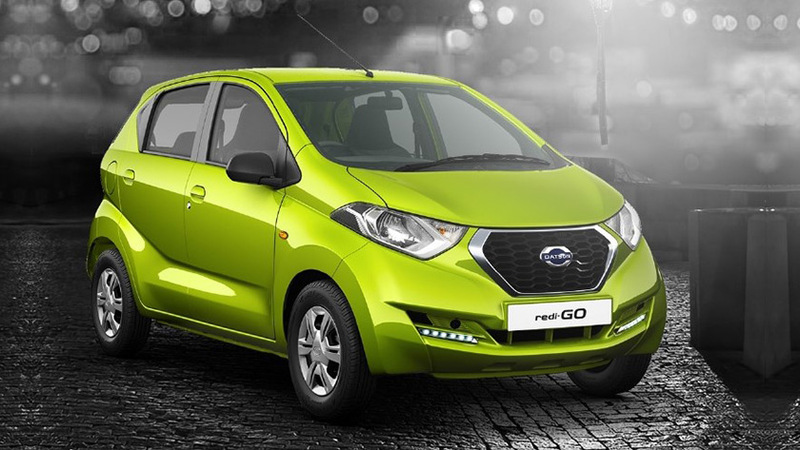 At the occasion of the fifth-anniversary celebration of eGo, Go Plus or the Redi-Go Datsun will now offer a five years/unlimited km warranty to its new owners. This five-year warranty with no limit on kilometers includes on mechanicals such as engine, AC Compressor, alternator, ECU, shock absorber etc. The ‘Peace of Mind‘ plan packs five standard services with every Datsun car which include 24×7 road-side assistance, free pick-up and drop facilities to the workshop, free insurance and a special scheme for Government employees both in service and retired. Another exciting highlight of this package is the fact that this package can be transferred to the new owner, in case the car is sold to someone else during this five -year period. This will clearly boost the resale value of these Datsun cars.